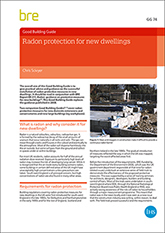 The overall aim of this Good Building Guide is to give practical advice and guidance on the successful installation of radon-protective measures in new dwellings. 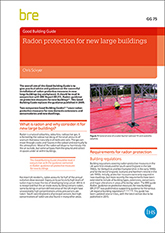 It should be read in conjunction with BRE Report BR 211, Radon: guidance on protective measures for new buildings. 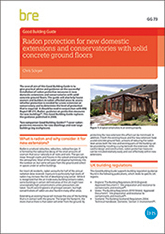 This Good Building Guide replaces the guidance published in 2008.Two companion Good Building Guides cover radon-protective measures for new domestic extensions and conservatories and new large buildings (eg workplaces). 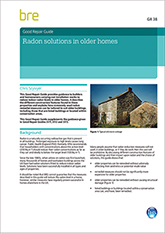 What is radon and why consider it for new dwellings?